Originally from Golborne, near Wigan, John studied Bass Trombone with Leslie Storey and Organ with Dr Graham Cummings at the University of Huddersfield, graduating with a B Mus (hons) degree in 1993. He continued his studies, gaining his PGCE a year later. Whilst at University, John ran a successful student choir known as the St Paul’s Singers and worked as Choirmaster at St Barnabas’ Church, Crosland Moor. John moved to Lincolnshire in 1994 to take up a post as Head of Music in Spalding and continued his organ studies with Colin Walsh, Organist Laureate of Lincoln Cathedral. John has held middle and senior leadership roles in a number of schools in the county, leaving his most recent post after seven years as Assistant Headteacher at Queen Elizabeth’s Grammar, Alford to return to Boston Grammar School as Director of Music. John is Director of Music at St Andrew’s Church, Heckington and is also Musical Director of the Heckington Singers, a 70 strong community choir, which he co-founded in 2012. He is Bass Trombonist for the Boston Sinfonia and also the Lincolnshire Philharmonia (the Orchestra of RAF Cranwell). 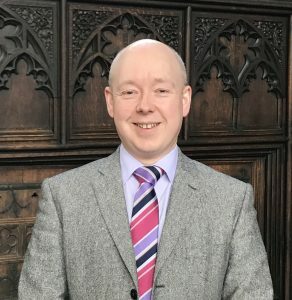 John held the position of Director of Music at St Botolph’s Church from 2001-2006 and was delighted to return as Assistant Organist in November 2015. 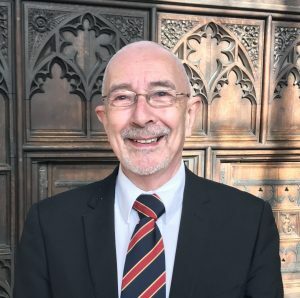 After serving on the RSCM Lincoln area committee for a number of years, John is now Chair and works to promote church music and choral singing across Lincolnshire. In his spare time, John enjoys walking his dogs, composing and arranging music and tinkering with his classic Land Rover, an ongoing project! DAVID SHEPHERD was born in 1946 in Manchester, and started learning the piano at the age of 5, continuing lessons at the Northern School of Music (now RNCM). Receiving organ and piano lessons at Stockport Grammar School, in 1965 he started a four-year B.Ed honours course at Bishop Otter College, Chichester and the University of Sussex, leading to organ lessons with Dr. John Birch and diplomas in Organ Performing and Organ Teaching from the RCM and RAM. He has broadcast on Radio 2’s ‘The Organist Entertains’ since 1968. Since semi-retirement in 2003 he has returned to his classical roots at St. Botolph’s. 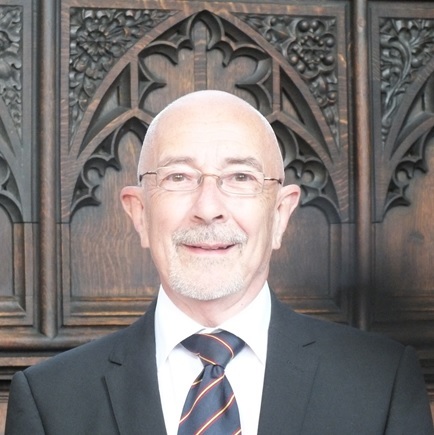 He is Membership Secretary of both the Cinema Organ Society and the British Institute of Organ Studies, Vice-President of the Theatre Organ Club, and has been accompanist for the South Holland Singers, Sleaford Choral Society and Cantemus. Lisa was brought up in Lincolnshire and studied organ first with Paul Spicer at Uppingham School and later with David Sanger at the Royal Academy of Music where she was a first study pianist. She has been active as an organist over many years in the Wolds churches, serving as accompanist to Grimsby Male Voice Choir and Louth Chamber Choir. In 2002 began a long association with St James’ Parish Church in Louth both as a singer and organist and during which period she gained a Postgraduate Diploma in Organ Performance from Birmingham Conservatoire where she studied with Henry Fairs. Subsequently she served as Director of Music and Organist at St James from 2011 to 2016. 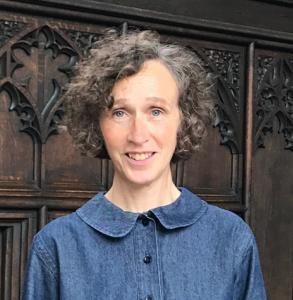 Lisa has given organ and piano recitals in Louth and at St Botolph’s and St Mary’s Melton Mowbray, teaches the organ and volunteers as a pianist on the historic instrument at Gunby Hall, a National Trust property.